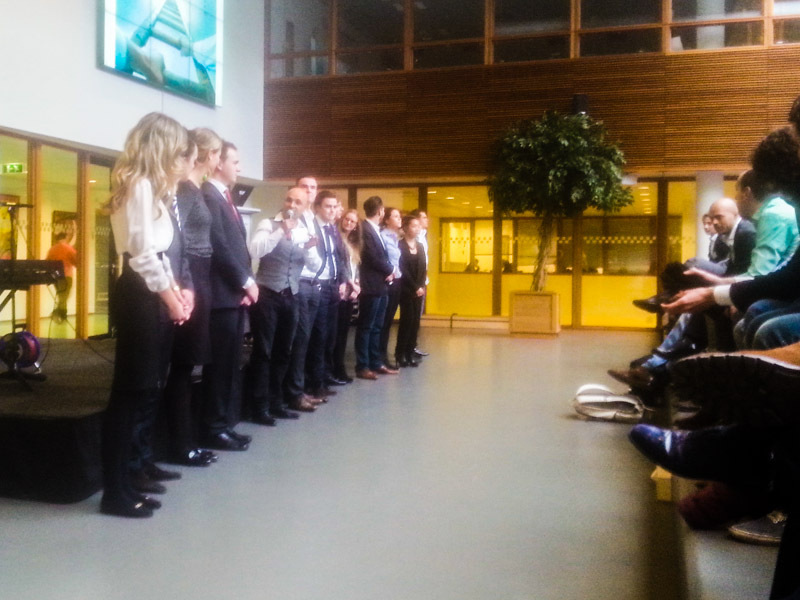 In the first week of 2014 I had the pleasure of attending Entrepreneur’s Day at the University of Applied Science in Amsterdam, as a consultant, advisor and the chairman of the jury. A couple of times per year University of Applied Sciences organizes the Entrepreneur’s Days for their students. On this two day event students present their Business Plans for a new concept (which they have worked on during their last semester) to their teachers and a group of entrepreneurs. Students receive feedback on their work, presentation and concepts and at the end of the day a jury selects a winner. The goal is to bridge the gap between school and the business world. I am a great believer in this approach and have been supporting the event for the second consecutive year. It was an inspiring and rewarding day spent with a group of enthusiastic students, teachers and entrepreneurs. At the end of the day the jury voted for Cyclopedia as the winner. Cyclopedia combines GPS navigation, mobile technology, city sightseeting and cycling to offer guided bike tours in Amsterdam to tourists. The event was wrapped up by a stand-up comedy act from Nabil Aoulad Ayad.